Corrosion which is not uniformly distributed over a surface but concentrated over a small area is called "localised corrosion". This often represents the most serious form of corrosion because it causes deep penetration damage that can be "self-perpetuating" and cause the rapid destruction of components. This type of corrosion occurs when parts of a ferrous alloy component are exposed to variable oxygen concentrations. 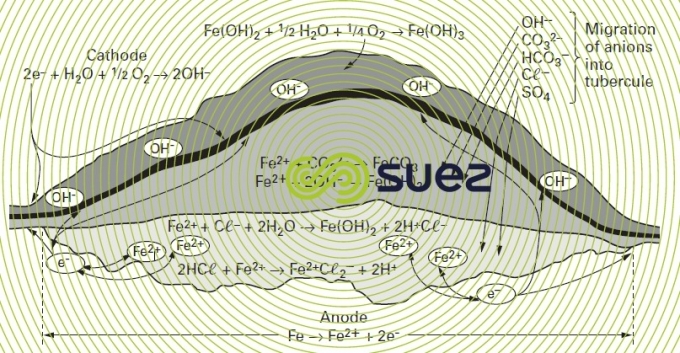 The difference in oxygen concentration produce an electrochemical potential differential that creates small but stable anodes opposite large cathodic areas, causing the metal in these smaller areas to dissolve quickly. As they dissolve, iron or ferrous metals form insoluble corrosion products. When this corrosion is localised, it often causes the corrosion product to become "incrusted" and this is known as a "tubercule". 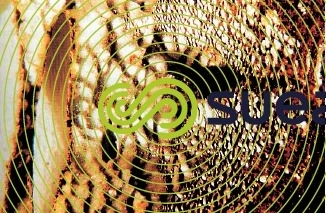 creation of an environment that encourages the development of micro-organisms that are responsible for corrosion (e.g. sulphur reducing bacteria). Photo 2 provides an illustration of the general appearance of tuberculation corrosion. 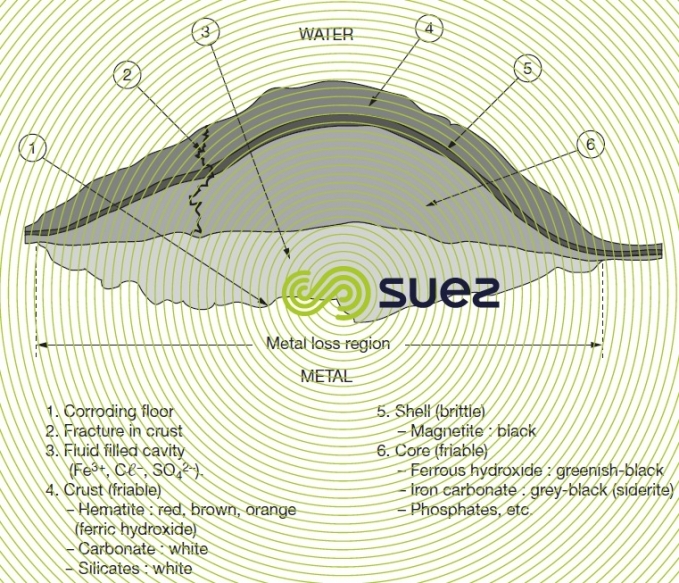 Figure 5 illustrates the physical structure of a localised corrosion site (tubercule) on the surface of steel. Figure 6 illustrates the chemical reactions that occur. This form of corrosion occurs when different metals coming into electrical contact are submerged in a conducting solution. This corrosion is caused by the electrochemical potential differential between the two metals. The less noble metal undergoes corrosion that will be increasingly severe as the metal’s surface area becomes smaller, compared with that of the more noble metal, galvanic corrosion reaching its maximum at the point where both metals are in contact. Pitting corrosion is a localised form of corrosion that produces holes or dents in the metal surface. In practice, the term pitting is used when the attack is deeper than it is wide. Pitting is frequently caused by incomplete corrosion inhibition. In carbon steel, pitting corrosion is often ascribed to inadequate amounts of anodic inhibitors (chromate or nitrite). Cathodic inhibitors in conjunction with anodic inhibitors have been used successfully to combat this type of pitting corrosion. Pitting corrosion is also the result of excessive localised concentrations of corrosive ions (e.g. Cℓ–). "Inferior" variants of stainless steel (e.g. 304) are particularly sensitive to pitting corrosion at high chloride concentrations (see stainless steel). This corrosion is caused by the formation of a small mass of stagnant water in an irregular feature that is deprived of oxygen and where corrosive anions such as chlorides can become concentrated. Crevice corrosion can be found at welds that have not fully penetrated, overlapping joints or other mechanical joints under which water can stagnate. Stress corrosion is the result of a breach in surface protection films caused by distortion brought upon by stress. This form of corrosion will often produce cracks that can result in the fracture of the component affected. 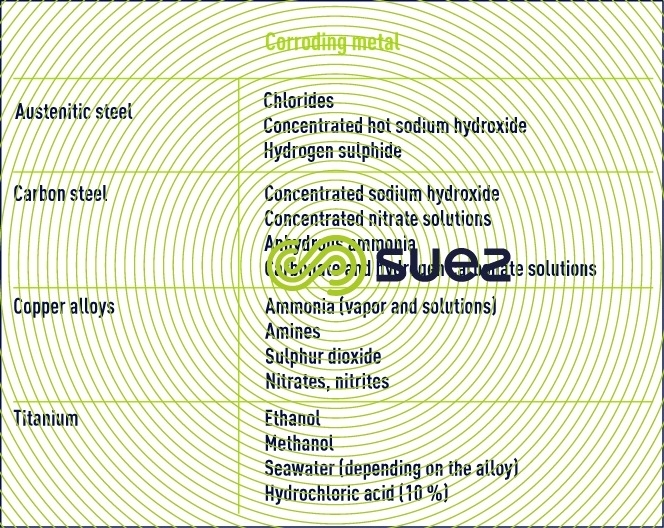 Table 1 shows a few alloy and medium combinations that have caused fractures as the result of stress corrosion. Although metals may seem homogenous to the naked eye, many alloys such as stainless steels are in fact made up of grains of very specific composition that are interconnected by sections of metals having different compositions (grain boundaries). Most of the time, grain boundaries have an effect that is negligible. 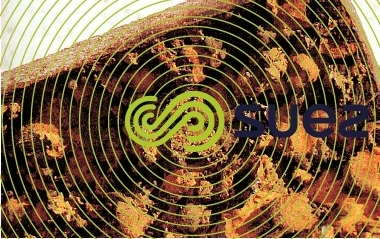 However, in so far as grain boundaries have a different elementary structure to that of the grains, they may occasionally be more reactive to corrosion than the grains. This feature can lead to galvanic corrosion termed intergranular corrosion causing the alloy to break down. Austenitic steels are sensitive to intergranular corrosion. The accepted theory is that of chromium depletion in the intergranular zones. In fact, intergranular corrosion has also been observed in the vicinity of poorly annealed welds carried out on stainless steel. Other alloys such as high strength aluminium and some copper-based alloys are also known to have a tendency to intergranular corrosion. Erosion-corrosion has been defined as the accelerated deterioration of a material caused by the combined action of physical erosion and chemical corrosion. This can be seen as the elimination of inhibiting corrosion products caused by the eroding action of the fluid or of the matter suspended in the fluid. Deterioration will be more marked in areas characterised by intense circulation or even turbulence such as ‘tees, joints, bends or pump elements (photo 3). Similar to the preceding case, cavitation is seen as the release and implosion of small vapour bubbles and creates very high physical tensions on the surfaces affected. This phenomenon creates a form of corrosion known as "cavitation corrosion". This corrosion frequently affects components subject to high velocities or high levels of vibration, such as pump impellers or internal combustion engine components.